Dumaguete is a buzzing City in the Central Visayas. The “City of Gentle People” developed rapidly from a hub to explore neighboring areas into a “to-go” place. Tourism is growing and with it the accommodation options in Dumaguete. There is a place to stay for each wallet. Many Guest Houses and Hotels in Dumaguete were built in the past few years. Those hotels already existing since many years needed to adjust their standard to the needs of the modern traveler. Add the development of BPO companies in Dumaguete to the development of tourism, and the demand for Hotels in Dumaguete grows even more. Many bigger BPO companies send their leaders and managers on a limited contract to Dumaguete to start up and train the sections. For those, as well as long term tourists, new apartment buildings with modern facilities are available which can be rented on a six month basis or longer. Many Hotels in Dumaguete City are in a central location. Shopping center, restaurants, banks and parks are in walking distance. To meet the requirements of a modern traveler or business-man, most Hotels in Dumaguete offer free internet access, cheap or free pick-ups and drop-offs from the airport in Sibulan or the pier in Dumaguete. If a Hotel in Dumaguete has no own restaurant, the next place is usually just a stone-throw away. Dumaguete is a travel-hub. A lot back-packer use the city for a short stay before continuing to explore the central Visayas. The city hosts many cheap guest houses which makes a short stay very affordable. The guest houses in Dumaguete starting already as low as 200.00 php for a night in a dorm-style room with bunk beds. That makes the guest houses in Dumaguete perfectly suitable for small groups of friends visiting the Dumaguete and Negros Oriental. Air-conditioned rooms with en-suit bathroom, for those who want some more privacy, starting already at 500.00 php in many guest houses in Dumaguete. Due to the size of the city, all guest-houses and hostels in Dumaguete are in close proximity of the city center. Some are even in walking distance. Others are located in small side streets, where guests may need to take a short 5 minute walk to a main road, for catching a trike. Check out some of the Guest Houses in Dumaguete here. While Dumaguete City has a lot to offer ti its guests, there are no proper beaches and therefore no Beach Resorts within the vicinity of the city. These are located to the north and south of Dumaguete, most of them in the municipality of Dauin. 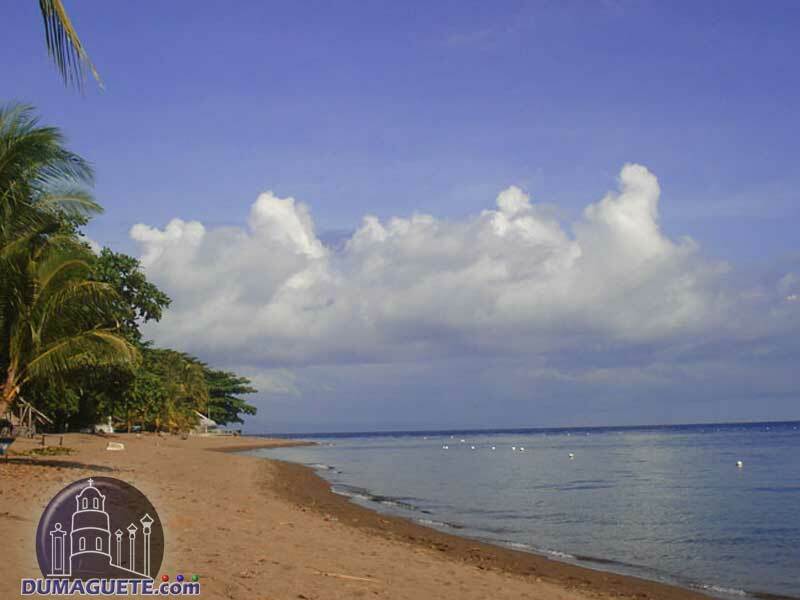 The beach resorts in Dauin cater mainly for SCUBA diver due to the proximity to world renown Apo Island. If one is looking for a great dive-destination to experience wonderful coral gardens as well as outstanding critters (easily comparable to Lembeh Strait) a dive resort in Dauin are the place to go. For non-diver is also a lot to explore in Negros Oriental. The beach resorts in Dumaguete/Dauin organize also land-based trips to the tourist spots of Negros Oriental. Due to the islands volcanic nature the beaches are dark sand, which might not fit to those looking for that powder-sugary white sand like in Boracay.